Therma-Tru Doors Are Ready To Order! Wholesale Siding Depot’s selection of entry door products just got a big upgrade with the introduction of Therma-Tru Doors! Therma-Tru made a name for itself by being the first company to introduce fiberglass entry doors onto the market when they debuted their “Fiber-Classic” style doors in 1982. Since then the company has become an industry leader in innovative entry door designs, and is widely regarded today as the nation’s leading manufacturer of fiberglass and steel exterior door systems. They even earned the distinction of being rated the most preferred brand of entry doors among building professionals, according to a brand use study published in 2017 Builder magazine! The appeal of Therma-Tru doors isn’t merely skin deep, as many are designed to possess increased durability to stand up to the elements. Therma-Tru’s impact-rated doors are designed with an internal steel plate, allowing them to withstand high-velocity impact. Moreover, the impact-rated glass used in some models features a laminated film and aluminum frame construction for increased durability and are tested under punishing conditions to ensure their strength and sturdiness. 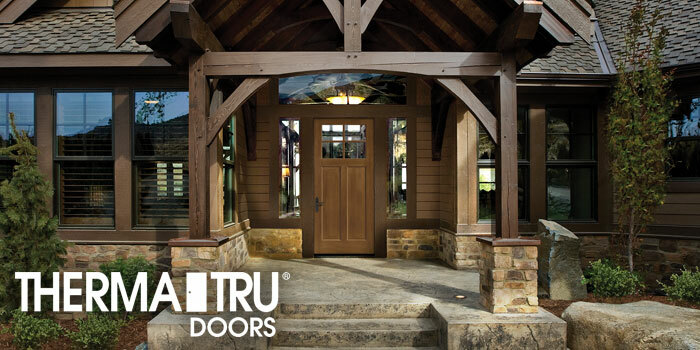 Wholesale Siding Depot is proud to include Therma-Tru doors among the high-quality products in our inventory. Take a look here to find out more about this new addition to our collection. You can also visit the Therma-Tru website and explore their interactive FAQ for more information. Either way, be sure to also stop by our showroom for an up-close look and find out for yourself why so many building professionals love Therma-Tru!